UC San Diego students gathered in Price Theater for a screening of former Vice President Al Gore’s film, “An Inconvenient Sequel: Truth to Power,” which was streamed nationwide on Thursday afternoon. Before the film, Gore participated in a live Q&A session from Connecticut, where he answered a few pre-submitted questions from students across the country on how to combat climate change. The event was hosted as part of a year-long celebration of the Muir College 50th Anniversary. A special committee has been putting together various events throughout the year to commemorate the college’s landmark year. Muir College Council President Kyler Vaughan, a student member of the Muir 50th committee, told the UCSD Guardian that they were initially considering asking Al Gore to come and speak in person, but when they heard about the nationwide stream of the film, they opted to host the screening instead. “A lot of the work that former Vice President Gore has done aligns with Muir [College’s] vision for environmentalism,” Vaughan said. 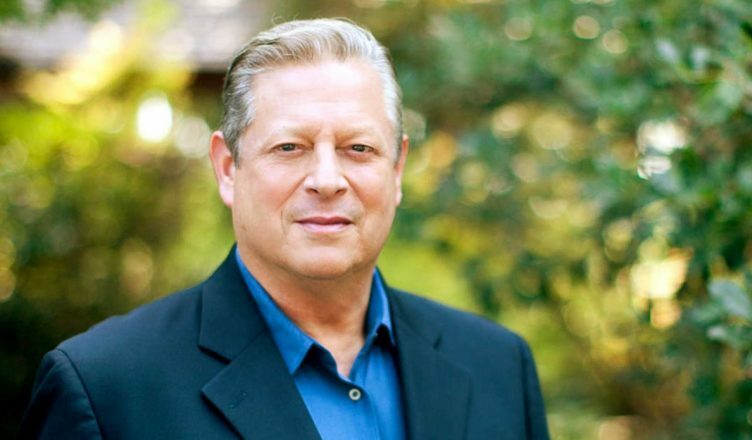 As an outspoken environmentalist, Gore has spent most of his career raising awareness on the effects of climate change. Aside from his work as a congressman and vice president, he is perhaps most known for his film, “An Inconvenient Truth.” Most recently, he has been a vocal critic of the Trump administration’s recent decision to withdraw from the Paris Climate Agreement. Gore’s relationship to UCSD became evident during the Q&A. While answering a question, he stated that he was first made aware of the effects of global warming by his then-professor Roger Revelle, who was part of the early movement to study humanity’s effect on global warming. The name drop of Revelle College’s namesake was received warmly by the students in attendance who immediately responded by cheering. While answering student-submitted questions, Gore made several impassioned pleas to students nationwide to get more involved in combatting climate change. As the former Vice President put it, college students have been the “vanguards” of every major social movement in recent history. He cited the opposition to the Vietnam War, Civil Rights, and gay rights movements as examples. When asked how students could make a difference with regards to climate change, Gore told students to become politically involved. Earlier in the month, the celebration committee unearthed a time capsule buried by Muir’s first graduating class in 1971. More commemorative events are scheduled throughout the year, including an upcoming speaking appearance by co-founder and former chairman of Qualcomm Irwin Jacobs on Nov. 15th. “If you want to contribute to the celebration, reach out to your student government representatives and give them your ideas for events and speaker requests,” Vaughan said. A complete list of events can be found in the Muir Woods Newsletter, on social media, and online at muir.ucsd.edu.